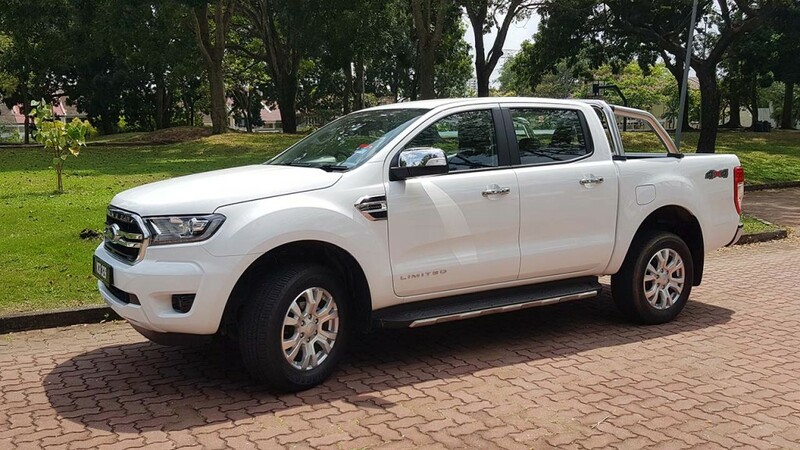 The new Ford Ranger XLT Plus with the new 2.0 litre single turbo charged diesel producing 180 PS and 420Nm of torque outperforms the five other variants which sport the carried over 2.2 litre diesel turbo but has only 160PS and 385Nm of torque. 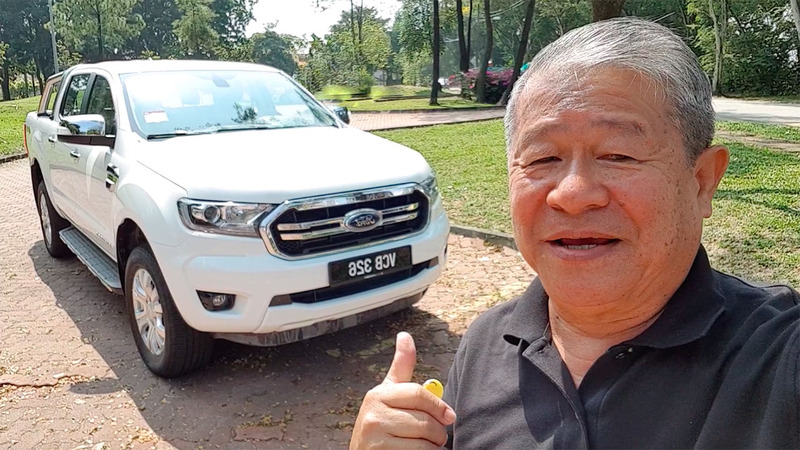 I like the 2.0 litre engine because it is the latest engine, and I pay less road tax, and the additional horsepower and torque that it delivers panders to my exuberant driving style. I prefer this particular variant because it is priced just about right, and while it has the performance, I don’t have to pay for the ‘look good’ accessories. 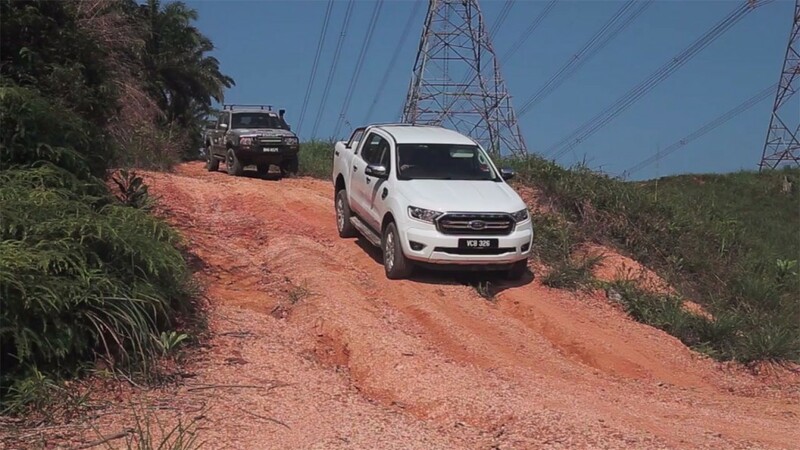 The next up variant would be the Wildtrak variant, which has a few other accessories – there are of course those who want the additional stuff offered, but the XLT has the same mechanicals, which matter more to me. 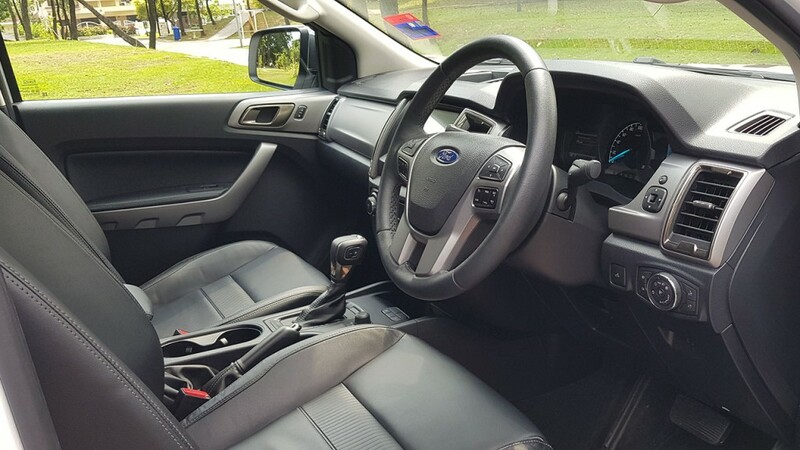 As a city slicker, I find the Ranger XLT Plus a practical vehicle as a daily driver, because it drives like a car, and in fact the interior is built like a car, with a standard car-sized steering wheel, with a very light feel that belies the size of the truck. 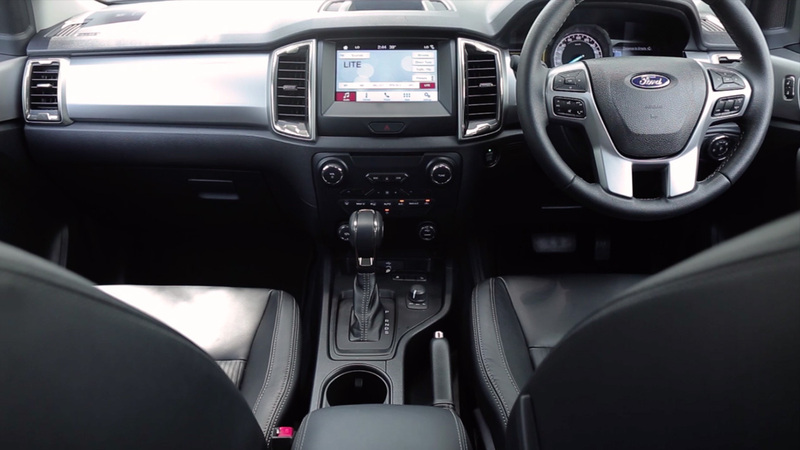 The interior is also pretty well appointed, including leather seats. 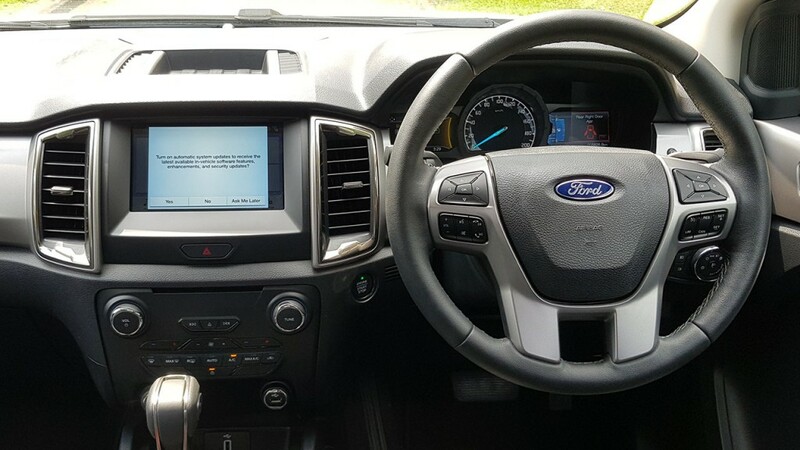 Other than the fact that I sit higher up (which I like very much), and perhaps being more conscious of its size when parking, I forget that it is a truck most of the time because the interior fittings are very car-like, including a steering wheel that is the same size as that in a car, and a steering feel that is light as a feather. 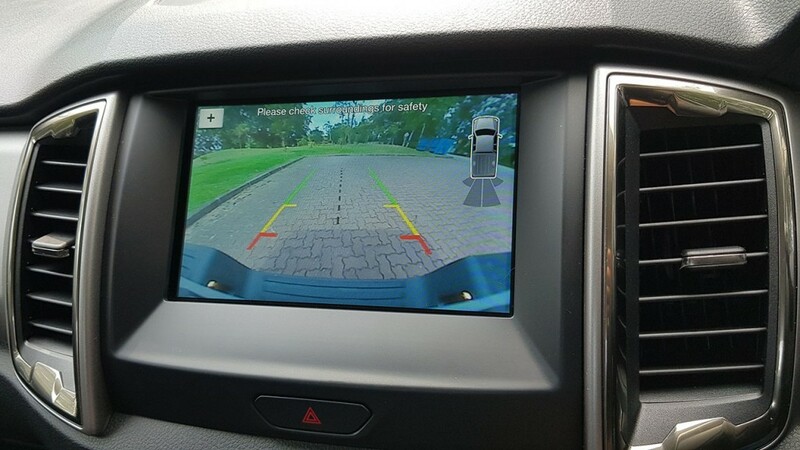 However, where the parking areas are tight, I do appreciate the fact that it has a great reverse camera with rear parking sensors that allows you to see exactly where you are going via a large 8.0 inch screen. 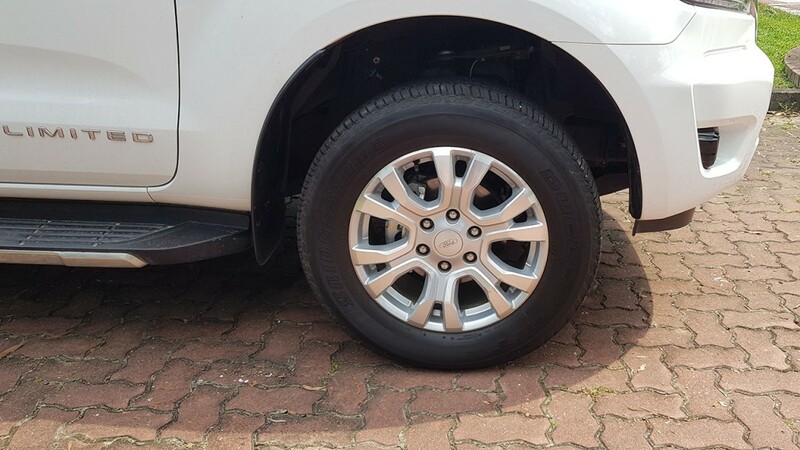 Another thing about its height and size is that other drivers tend to give you more ‘respect’ – they will be more willing to give way to you, or stay out of your way, albeit some of it may be due to not wanting to tangle with a vehicle that is stronger and tougher than what they have. Besides, you can be on the same ‘level’ and look at truck drivers on an eyeball to eyeball basis. 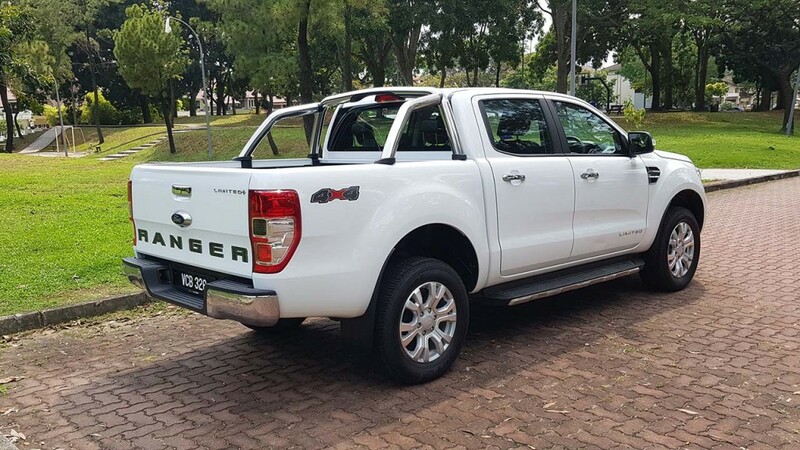 Being an outdoor kind of person, the Ranger XLT Plus is a useful vehicle to have, ideal for my trips to my friend Ah Soon’s durian farm in Bentong; and I can bring back durians in the rear deck without stinking up the entire car. 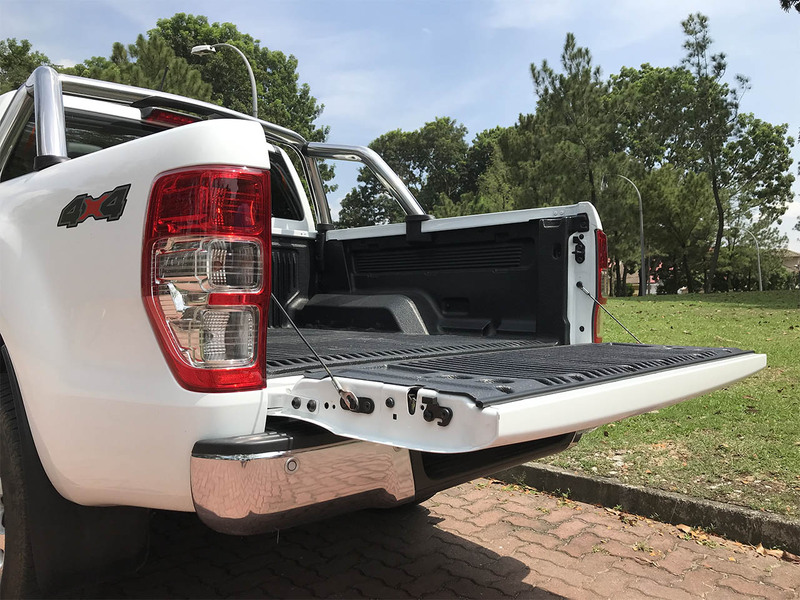 The ‘easy-lift rear tailgate is a useful feature that allows one to easily drop the rear tailgate for loading and unloading. 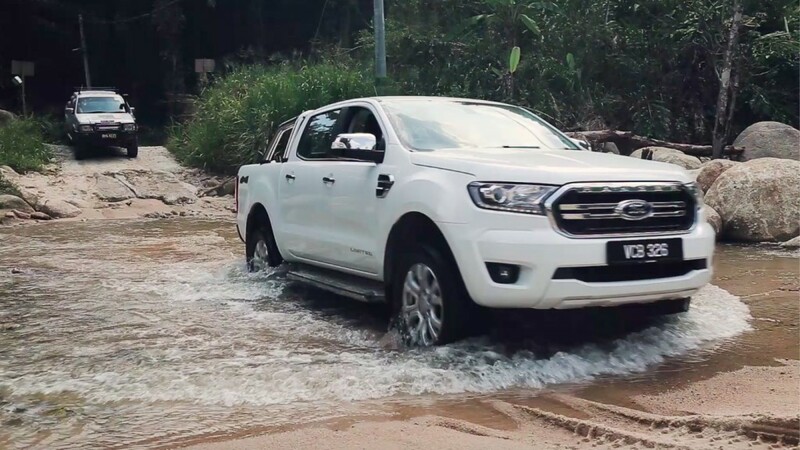 Sometimes on our off-road adventures we have to tackle rough roads or even some stream crossings, and that is when the 800 mm of wading capability comes in useful. 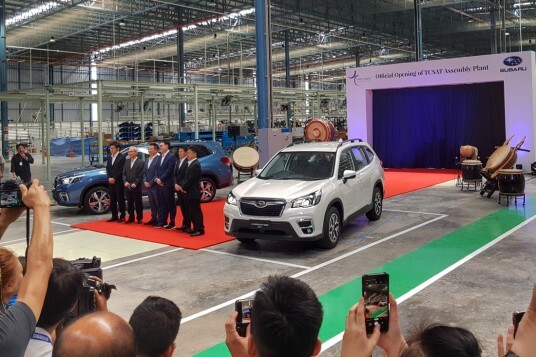 I also especially like the 1,000kg carrying capacity and the 230 Volt plug for using household appliances. 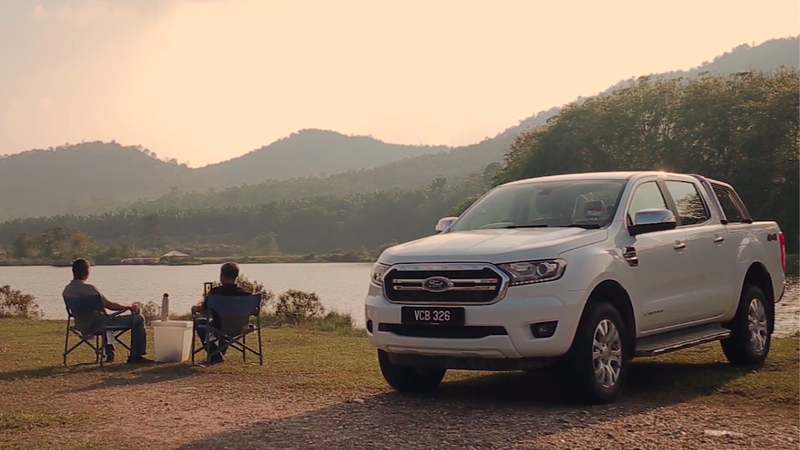 I have driven four generations of Ford Rangers, starting from the 2.5 litre XLT in 2007, and have actually owned two of them before, and last week when I went on a short trip with my friend Julian, who owns a 2004 model, I can see how much the Ranger has evolved. 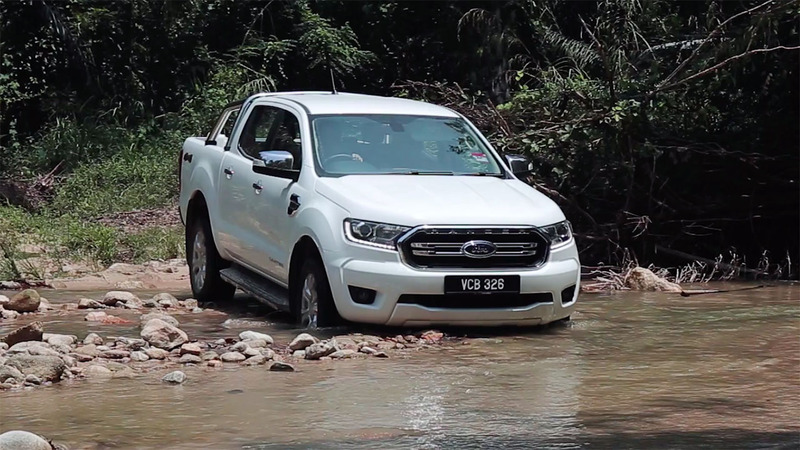 In terms of handling, speed, and off-road capabilities, there is a huge gap, so much so that Julian is thinking of an upgrade – do watch the video and see for yourself what I mean.